Most days of the week I feel like planning for the first meal of the day is much easier if you think of the theme of your day. For example_ today our breakfast would have started with a title like “quick and easy", yesterday as the baby was having a bit of a crying spell at 7am, so it became “on-the-go” and on the weekends it might be “relaxing brunch with friends” or “post farmers market haul breakfast”. When you think about your meal in terms of the time and ease in which you have to prepare and enjoy it what you’re making becomes much more simple to prepare. The one food our entire family can agree on for breakfast, a snack and often these days as a dessert is yogurt. It’s high in protein and easy to digest making it a great way to start your day. 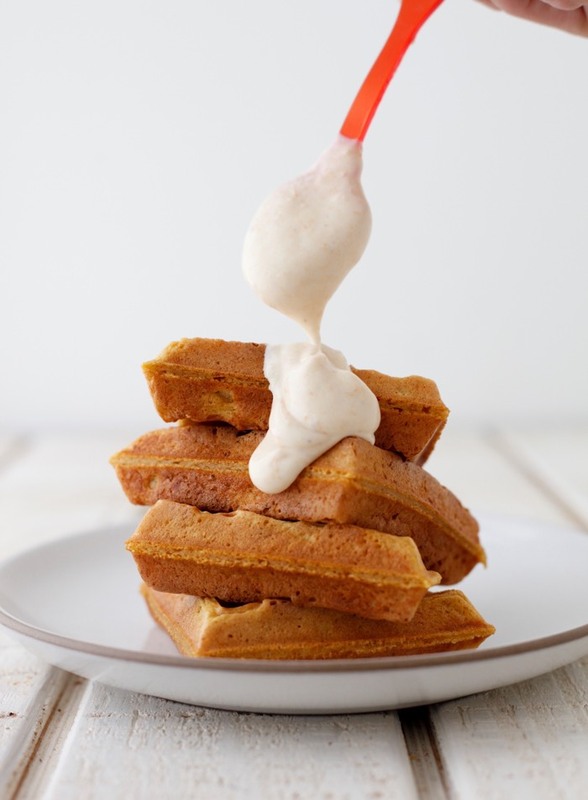 I’m teaming up with Noosa yoghurt to bring you 3 Breakfasts that will Rock Your Week! They’re simple ideas that you can recreate to fit the type of day you’re going to be living. 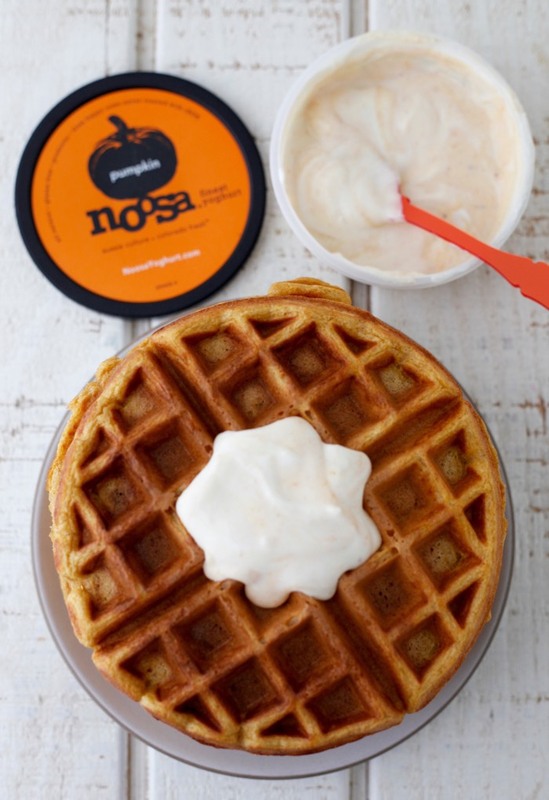 Noosa is made with r-BGH free milk and has just about every fruit-puree-sweetened yogurt to accompany your morning craving making it easy to pair with your favorite foods. Weekend Brunch_ I’ve been making pumpkin waffles on special occasions for years as they’re one of our family and friends favorite recipes. They’re delicious on their own and with maple syrup, but even as a kid I loved them topped with yogurt. 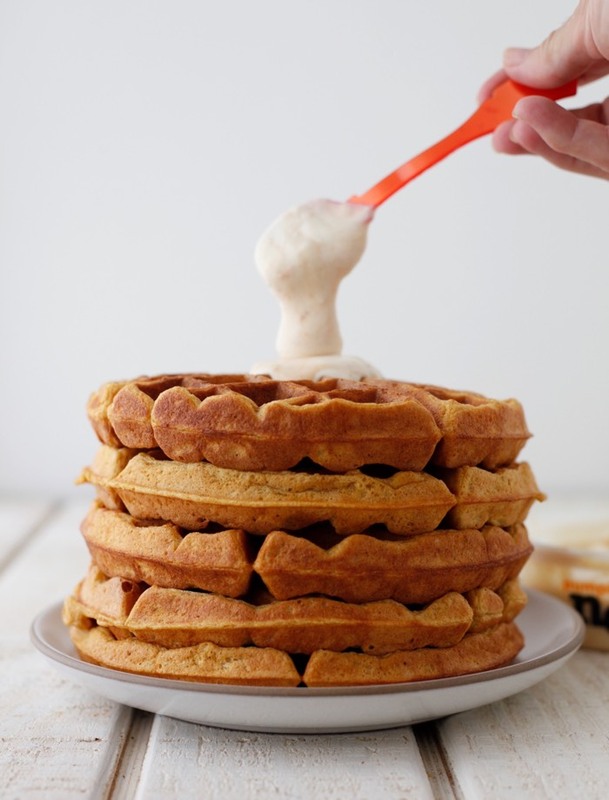 I made a batch with pumpkin yogurt getting ready for the fall and they’re absolutely insane. 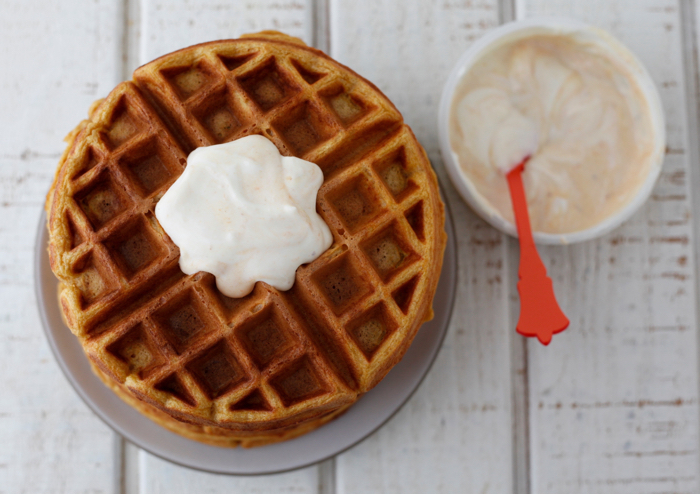 The thick, pumpkin infused flavor of the yogurt takes it to a whole other level of deliciousness! Weekday Starter_ We have been making a lot of open faced toasts for breakfast and lunch lately and this avocado, tomato, egg topped stunner is a total winner. I love pairing it with little strawberries and blueberries from the farmer’s market and lemon yogurt. Breakfast On-the-Go: At least once a week we’re racing around and end up having breakfast on-the-go. 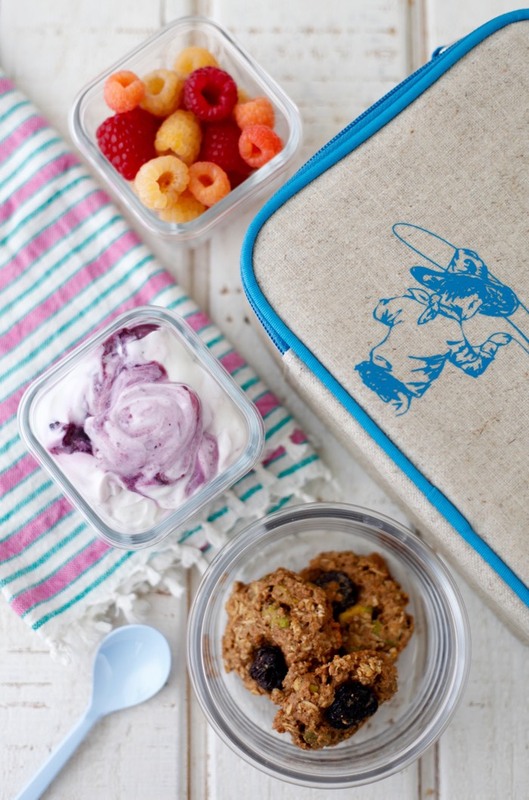 I still want to make sure we all get plenty of nutrition, so I pack vibrant berries, Breakfast Cookies that I keep bags full in the freezer for mornings just like this and luscious blueberry yogurt. 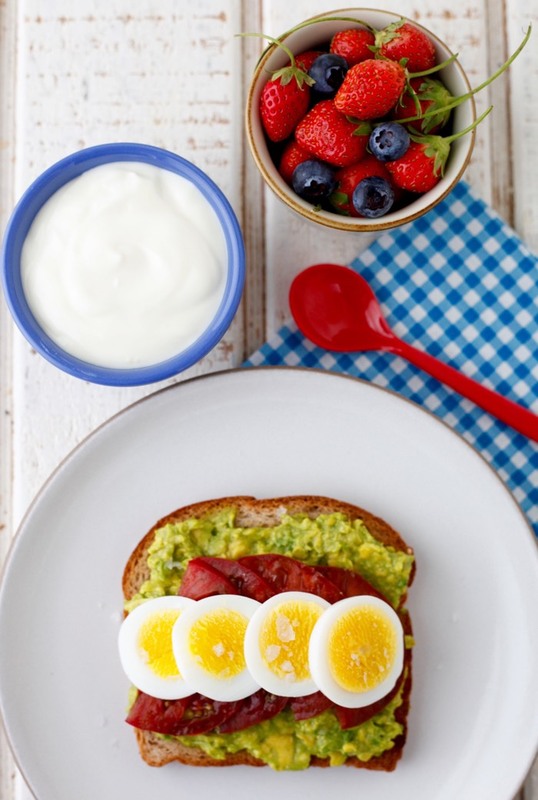 Let me know in the comments below if these ideas inspire any of your breakfasts in the coming days! 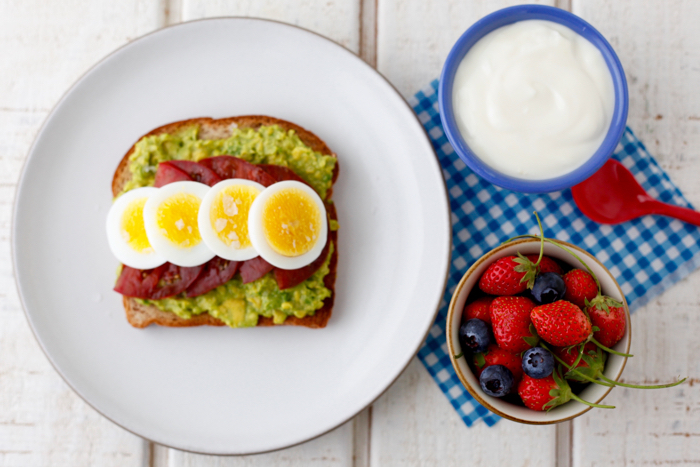 Use #noosafresh to share these ideas with friends and show us your own breakfast creations! i used to eat noosa, and buy it for my family as well - boy it sure tastes good. then i read the label and was pretty stunned at how much sugar it contains. i now only buy plain yogurt and doctor it myself with homemade fruit purees or just a dash of maple syrup. great!!! that's what I am doing. I do not even need the sweetness. My grandson loves plain greek yogurt and he is 17 month old. Have you ever tried apple pie with plain greek yogurt on the side? It is so delicious!! 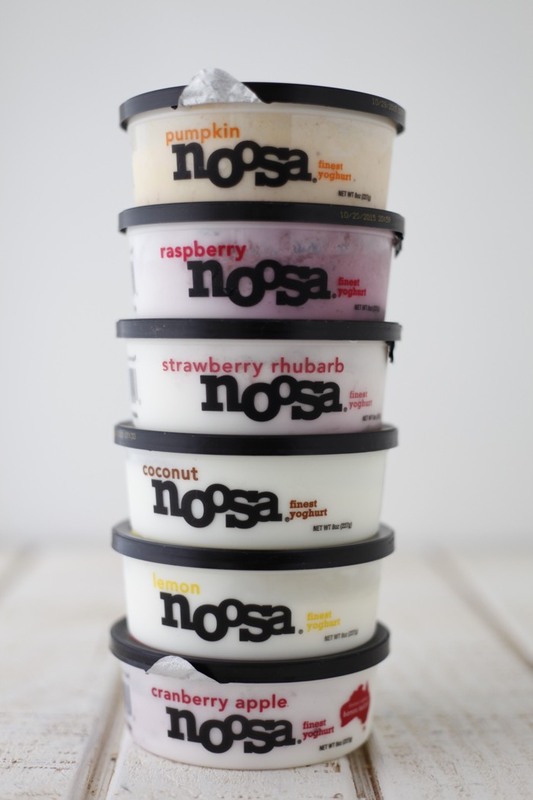 I have never heard of noosa or even tried it before. We do eat a lot of greek yogurt and Icelandic type yogurt. The recipe options you have mentioned give me some things to try sometime for breakfast or snack. And Christina I like the what change you have made in creating a healthier yogurt for you and your family. Thank you both!